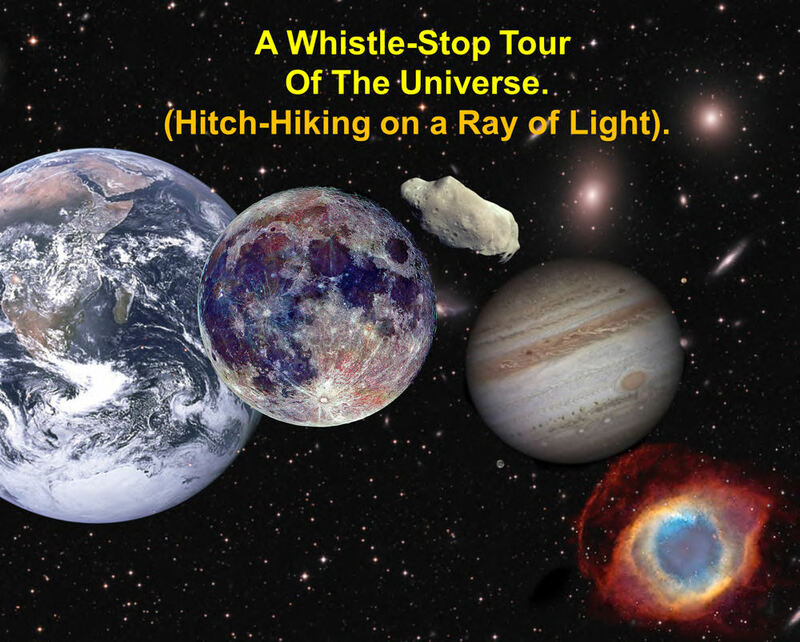 After a bit of a rest from doing talks, on Wednesday the 27th of July I will be taking Bedford Astronomical Society on a wild trip across to the very edge of our observable universe. The society meet at Bedford School at the Resource Room at The Piazzi Smyth Observatory in Pemberley Avenue. Meeting starts at 7:30pm. So if you’re in the area, come along, say “Hello” and enjoy the ride. Atlas V Launch from Cape Canaveral. The Video. I finally got time to put together a video of the Atlas V launch we saw from the Saturn V exhibition building at The Kennedy Space Centre on the 24th of June. The GoPro background footage captured real time video. I have superimposed another closer video of the launch taken with another DSLR and also my images using my latest DSLR at about the time each one was taken. Note the delay in the launch and the sound reaching us across that distance of just under 5 miles. Efforts to view or image the detaching solid rocket boosters were ruined by its close proximity to the Sun as it sped away. The MUOS-5, a military communications satellite, reached its geosynchronous orbit successfully. I made a few mistakes in setting up the shots, and in all the excitement of the event I forgot what I was meant to do at certain times in chaging angles of cameras etc. But as this was my first experience of a launch close up, I can forgive myself and and well over the moon at the results.